After the meetings held on Tuesday by Mozilla developers, they announced that Firefox 2 Beta 2 would be released on 31st of August. This was reported in the weekly status report. The users of Alpha and Beta 1 Firefox 2 would be prompted autmatically for downloading Beta 2. On the other hand, Microsoft released Internet Explorer 7 Release Candidate 1 last week. Both these browsers would be released at the same time in October. Mozilla is leaving no stones unturned while they plan out the release. A software team from Toronto, Radiant Core would be redesigning the interface and making Firefox more user-friendly. The company has been working for Mozilla for about a year. They had to overcome the other two companies which were in fray to design the modern, contemporary theme for Firefox 2. The others were Meta and Raiz Labs. IT Business reports that Firefox 2.0 will focus on four priority areas, according to Mozilla. These include search bar, icon polish, tab strip and buttons in textboxes. To date, Mozilla has already released a beta version of Firefox 2.0, which does not include Radiant Core’s theme changes, and is scheduled to release another beta in early September. That version will include some of Radiant Core’s changes, according to Goldman. There seems to be some tension building between Mozilla and Microsoft. Both companies are trying to woo the user with a good interface, stable software and more important a browser that is secure. Come october, we are definitely going to witness one browser taking the other down. 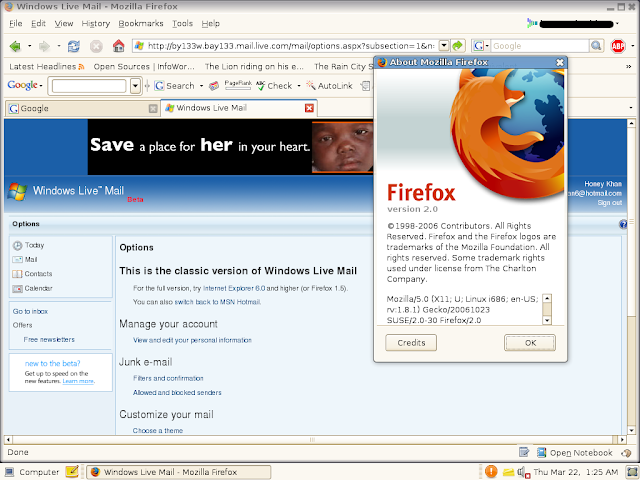 Download Firefox 2.0 Beta 2 now.